This weekend Pop Cycle ice lollies hit the streets of Swansea. 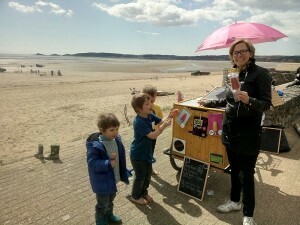 The real fruit ice lollies will be on sale from our recycled tricycle at a pitch on the seafront and around the city and Mumbles. This is a really exciting time for Pop Cycle, many of our customers have suggested it would make a lovely addition to the seafront. As we approach our second anniversary it’s great to be able to start street trading. 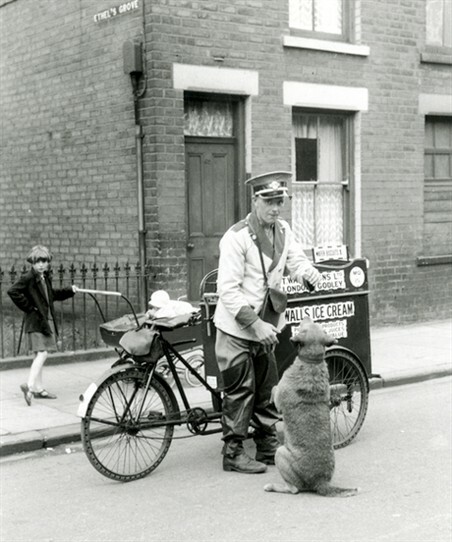 Some people can recall a time when traditional ice cream vendors were on Swansea seafront. We will be selling our popular flavours like the Strawberry Smacker and Mango Mule, as well as seasonal specials like Rhubarb and Ginger. The no added sugar Traffic Light and Fairtrade Banana & Strawberry Stripe are favourites too. Everything is made with fresh fruit so supplies vary. All lollies are vegan and we use unrefined sweeteners like agave generally, and they are served in biodegradable packaging. We may also stock iced coffee or hot apple juice and Fairtrade or vegan snacks. Street Trading is regulated by your local authority, in our case City & County of Swansea. Pop Cycle is also available for private hire and events. When I was a kid the colorful pop cycle ice was really enjoyable to me. You helps me to remember those days. Thanks for sharing.